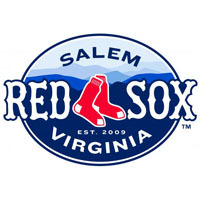 The Hillcats were held scoreless through six innings for the second straight game and eventually fell 6-2 in their third straight loss to the Salem Red Sox. RHP Gus Schlosser had his streak of three straight quality starts snapped after surrendering five runs in the third inning tonight. The ‘Cats fell behind 6-0 early and were never able to recover. The Red Sox scored in the top of the first inning without the benefit of a hit. Matty Johnson drew a one-out walk. He stole second and advanced to third on the same play with the help of an errant throw from catcher Braeden Schlehuber. Johnson then scored on an RBI groundout for Travis Shaw. Salem led 1-0. Salem broke the game open in the third inning. All nine Red Sox batters came to the plate as they collected four hits, drew a walk, and had one batter reach on an error. The big inning was capped by a three-run homer for Shaw. Shaw finished the night 2-for-3 with a home run and four RBI. The Red Sox led 6-0 in third. The Lynchburg bats were practically silent through the first six innings. Salem starter RHP Brandon Workman (3-2) held the ‘Cats scoreless through six innings. He gave up just two hits and walked two while striking out six. The Hillcats did not get on the board until the seventh inning. RHP Jeremiah Bayer relieved Workman and gave up a home run to his first batter Adam Milligan. Lynchburg added another in the eighth inning on a wild play. Mycal Jones stood at second base and Tommy La Stella was at first with two outs and Edward Salcedo at the plate. La Stella broke for second base on the the pitch from Bayer, while Jones stood still at second. Catcher Christian Vazquez for Salem ran from behind home plate out to second base to pick off one of the Hillcat baserunners. La Stella raced back to first and Jones was caught in a run down. Vazquez gave the ball up to the shortstop who threw to Michael Almanzar at third base. Almanzar missed the tag and Jones ran right by him to third. With no one covering home, Jones took off for the plate and ended up with two stolen bases and a run scored. The Hillcats still trailed 6-2 and that would be the final. Lynchburg is now 28-23 this season and still in first place in the Northern Division.